given to callings of number of creative individuals which kept alive and ticking Jammu’s cultural scene. Before mentioning the achievers of this year let us pay homage to those who after dedicating entire life in creative pursuits said good bye to this mortal world. 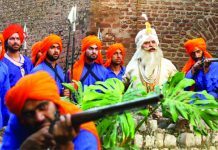 These include Dogri writers Kunwar Vijogi and humorist Surinder Singh Manhas. Awards and Honours: Dogri poet, writer Dhian Singh was awarded this year’s Sahitya Akademi Award for his poetry book Parchhamen Di Lo. Yashpal Nirmal poet, writer, translator was conferred with Sahitya Akademi’s National Translation Award for his Dogri play Mian Deedo, a translation of original 1934 Punjabi play Deedo Jamwal. Tara Chand Kalandari received Sahitya Akademi’s Bal Sahitya Puraskar for Dogri poetry book Satrangi Peengh. Padamshree Jatinder Udhampuri was honoured with National Literature Award. Dogri writer Krishan Sharma was conferred with Sauhard Samman by Uttar Pradesh Government Hindi Sansthan. Khalid Hussain, Punjabi, Urdu short-story writer was honoured with Shiromani Punjabi Sahitkar Award by Language Department of Punjab Government. Young writer/journalist Rajeshwar Singh Raju was given second Prof Ram Nath Shastri Smriti Puruskar for his book ‘Khoudal’. Young theater director Abhishek Bharti was conferred with national Bismilah Khan Yuva Puruskar for his contribution in field of direction. Jammu artist Jugal Kishor got State award for creative sculpture. Rajesh Khajuria was presented State’s second best award in non-fiction category. Playwright Mr. Moti Lal Kemmu was accorded State Award for performing Arts, while Shiv Kumar Sharma (PIX), Santoor Player was accorded State Life Time Achievement award. 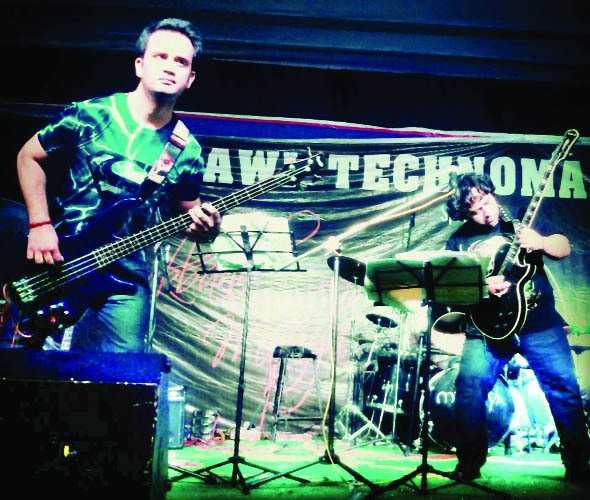 Rock Music: The handful community of young musicians which have made rock music as part of Jammu’s contemporary tradition, was found wanting in zeal and passion. Only a few rock bands active this year held concerts which were mainly sponsored events. NISSI the fusion band performed at international Kullu Dushera festival and few shows in Jammu. Mythya the rock band, performed at Tawi Engineering College Tech Fest and Aircel 10th anniversary celebrations. FILMS- Amit Dutta, a FTII graduate, who hails from Vijaypur, has emerged as one of the significant creative film directors in world cinema. His latest film ‘Chtirashala’ is nominated for Golden Berlin Bear in Berlin Film festival. He has been awarded Tagore Fellowship at the Indian Institute of Advance Studies, Shimla. No local film was released this year. However Dogri film Geetiyaan, directed by Rahul Sharma, on public demand was again shown in a local multiplex for few weeks in January 2015. The filmmaker from Surankot, Rahat Kazami’s films are getting rave reviews in film festivals but none was released this year. His latest film on floor on partition based on short stories of Sadat Hasan Manto. Mushtaq Kak acted in two Bollywood films ‘Vishwarupam Part Two with Kamal Hassan and ‘1975’ with KK Menon. Doordarshan Kendra Jammu: Notwithstanding limited resources, DDJ under Anjali Sharma as Head of Programs has started novel programmes such as Basti Basti, Khullay Fangga Ni Duari, Sarhadi Ratha, Begunahi Ki Saza, on life style of Pahari/Gojri people, Progressive Women of Pahari/Gojri Community and and aspiration of people living both the sides of Indo-Pak border, displacement and rehabilitation of people living on border area, by PGF Rajouri. DDJ also establishment first ever Archives under which valuable recordings of programme on Dogra legends, Culture and Classics have been collected from all over. Also Gojri and Pahari Folk Music recorded from view of preservation of folk music. While on Satellite channels, Jammu’s talented actor Mohit Raina, young Kashmiri Pandit actor, continues to entertain audiences in his role as Lord Shiva in Devon Ke Dev- Mahadev. Neelam Pathania and Monika Singh, actresses from Jammu also are giving impressive performances in number of TV serials. FM 97.2: Big FM radio has taken lead in broadcasting programs to inculcate respect for traditions and enriching listeners. The programs Badi Khabar, hosted by RJ Juhie took up local issues like negligence of Dogra Heritage sites, monuments, development issues, civic as well as social issues. 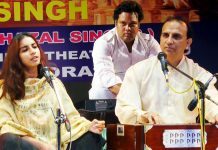 The innovative program on Dogri Music intends to make Dogri cool so that the youth gets connected to it. Promotion of Dogri/Jammu-based/locally produced Films, on local talent in the field of art and literature, talent hunt shows, provide a platform young talent. Theatre: National School of Drama’s Technical Theatre Workshop held in collaboration with J&K Cultural Academy and co-ordinated by Bappi Bose by introducing various aspects of theater production, gave new vision to amateur artistes. The opening of refurbished Abhinav Theatre after five years has come as a boost to Jammu theatre scene. Natrang, leading theatre group led by Balwant Thakur organized record 104 shows/programmes in 2015. 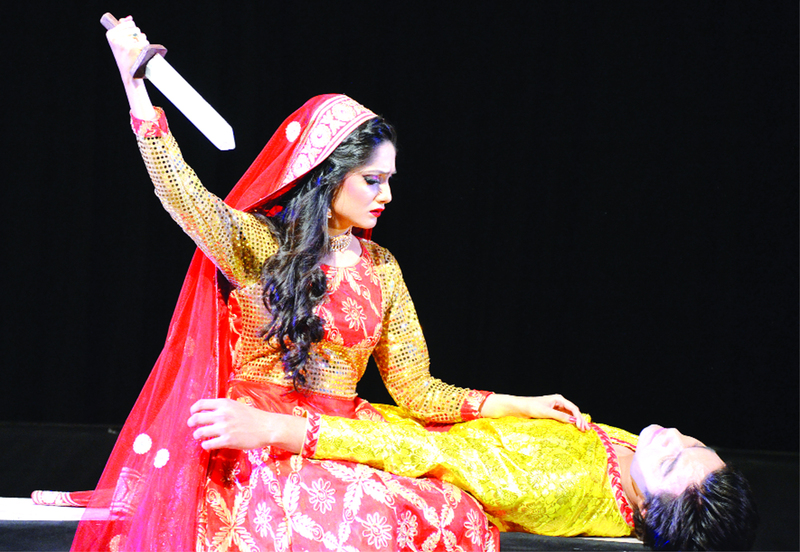 These include Bhand Pather Show Series of new plays held in different parts of Kashmir. 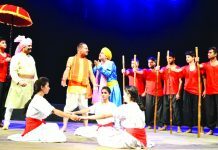 Natrang’s play Baba Jitto now an inseparable adjunct to folk melas also regaled lakhs of spectators. New plays directed, written and designed by Natrang’s young directors like Arushi Thakur, Anil Tickoo, Sumeet Sharma, Neeraj Kant and Rahul Singh. Balwant Thakur’s play ‘Aap Humare Hai Kaun’ participated in National Theatre Festival, Bhopal. 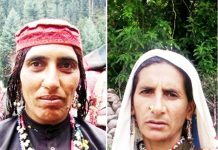 Group’s other activities included Theatre festivals, workshops, Children’s theatre camp, plays in villages of district Poonch. Balwant Thakur was honoured at National Kala Utsav-2015-the first ever festival of music, dance, drama and visual arts which had the participation of thirty six states and union territories. 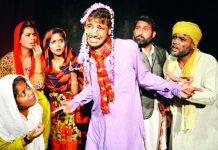 Amateur Theatre Group (ATG): New productions by Mushtaq Kak’s group including Reechh, Jayaz Hatyaare, Chahaton Ka Kya (directed by Ifra Kak) were staged at national festivals. Ifra Kak directed ‘No Man’s Land’ with students of Jammu University. ATG organized Naya Utsav featuring young directors Sandeep Verma, Aparna Kapoor. Mushtaq Kak and Ifra Kak were invited by National School of Drama as experts in Theatre design Workshop held in Jammu. Ifra Kak’s Pratibimbh was awarded State Academy Awards in Production, lights, acting and direction. Samooh Theatre: The group under Dr Sudhir Mahajan and supported by Ravindra Sharma, organized lectures on Swami Vivekananda, held theatre workshops and Natya Path and a three day play festival. It staged plays like Begum Akhtar and Final Solutions. Shivani Cultural Society: Group’s plays The last Séance and Pishachyatra were staged in annual drama festivals. It staged plays like ‘Main Damini Bol Rahi Hun, Shadain, Parchhaiyan, The Conflict, Cheerharan and others under its concept of Theatre of Convenience. 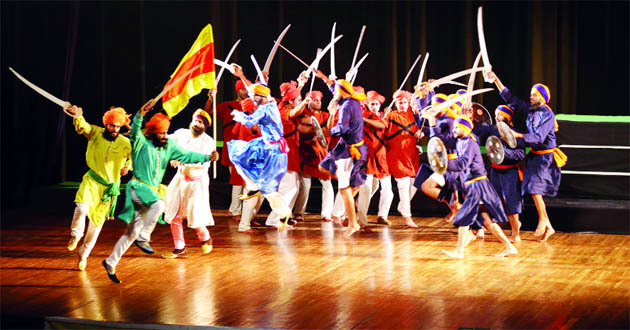 Natraj Natya Kunj: Directed by Abhishekh Bharti, the group staged The last Colony, Gagan Damama Bajyo, Blood & Beauty at different national theatre festivals. Blood and Beauty was adjudged in drama festival as best play, best director, best actor, best music. It got consolation prize in acting, costumes and lights. Playwrights: Dogri writer Rattan Doshi got State award for best play script. Rajneesh Gupta also contributed with new play scripts which were staged by different groups. Shashi Bhushan, Vijay Malla also wrote and staged new play scripts. Kumar A Bharti wrote new plays. Groups which remained active albeit with sporadic performances include Rangyug, Nav Durga Kala Manch, Pancham and others. Ek Saath Rang Mandal led by writer-director Vijay Malla under its Monday series staged short plays in large number of educational institutions and other places. Visuals Art: Amit Slathia, presently active at Delhi, was awarded prestigious AIFACS award for his work. Veteran sculptor Rajinder Tikku was awarded prestigious Gottleib Foundation grant (USA) for dedication to his work over a period of many years and recognition of the quality of his work in field of creative sculpture. Sunanda Khajuria, young painter from Painthal, presently working in Delhi held shows at, Singapore. South Korea, Beijing and Art Heritage, New Delhi. She also attended a workshop in Moscow, Russia. Jammu sculptor Chander Prakash, a regular participant in international symposia and camps, got Excellent Sculpture award in Fuzhou China for his work ‘Fragrance of My Mother Land’. Sonu Agarwal, one of the few female sculptors of Jammu also attended 2015 International Terracotta Sculpture Symposium in Serbia. She conducted workshops with children and with IMFA students at Kala Vriksh, sculpture studio, Sangrampur Jammu. Suman Gupta held solo show in Helsinki, Finland. He acted as Juror in Prafulla Dahanukar Art Foundation, Mumbai’s National Art contest. 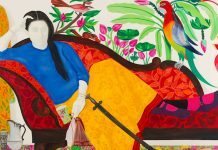 He exhibited at Jaipur Art summit and group shows in New Delhi. He attended National Art Camp at Jaipur. Ravinder Jamwal’s in his laudable bid to take creative art to people exhibited his latest installations in Jammu University’s children park. His latest addition of public statues includes bust of Rajinder Singh. Self-taught painter K.K. Gandhi, held number of solo and groups shows in different parts of country. He also organized national level art camps at many places. 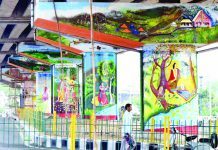 Young sculptor, Jasleen Singh executed a large mural in Kurukshetra University. 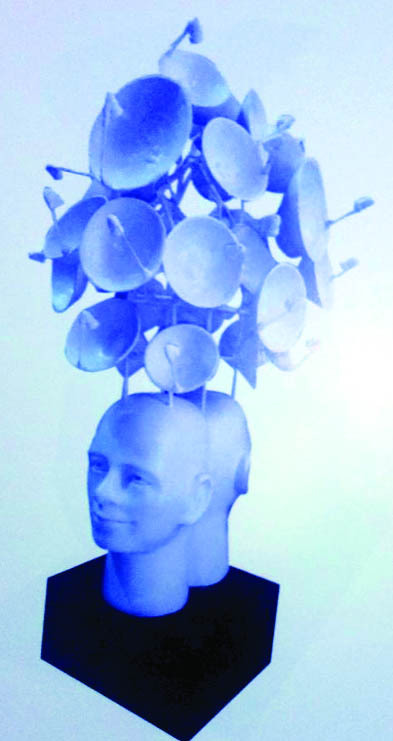 Jang Singh Verman, graphic artist, participated in number of group shows and camps. Late V R Khajuria was remembered by holding Children Painting, Clay Modeling competitions and Art Exhibition by Viraj Kala Kendra. The artists/teachers of IMFA; Rohit Verma, Harsh Vardhan exhibited their works in national exhibitions besides attending artist camps. Milan Sharma participated in MP Govt. Khujraho Art Mart exhibition and painters camps at Shimla and Patnitop. Bishamber Mehta, a ceramist also participated in camps, exhibitions and held ceramic workshop. Sculptor Vikas Sharma participated in national camp at Bangalore, Baroda Art Fest, Ceramic workshop at Shantiniketan. Painter R. P Singh held solo show at Lalit Kala Academy New Delhi, besides participating in group shows at Gulbarga, Indore, Bhopal. J& K Centre for Creative Arts organized an International exhibition at Kala Kendra, in memory of sculptor Gobind Kaur. Cartoonists: Chander Shekhar artist/cartoonist, curated three International exhibitions of cartoons in J&K. He participated in Maya Kamath Memorial Cartoon Exhibition, Bangalore and National Press Day exhibition of cartoons on President of India in New Delhi. He was awarded out of 86 top cartoonist of India by Maharashtra Kala Academy, Mumbai. Jammu’s senior and acclaimed cartoonist Manoj Chopra this year got selected as only Indian Cartoonist at VII International Exhibition of Graphic Humor at Lima, Peru. ICCR Jammu: Programme by ICCR Jammu this year included International Exhibition of Cartoons, concerts by musicians from Spain, folk music of Bangladesh by Farida Parveen. It also presented Gulaab Gaatha, a dramatic tribute to the founder of J&K State. Under its Horizon Series it featured music by Subash Langeh and Neelam Langeh, Swar Sudha by Mukteshi Sharma and sitar recital by Dr. Padamini Tickoo. With NZCC, Patiala, it held Jammu Youth Theatre Festival featuring five new plays by young artists. 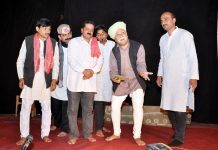 It also organized a unique Karkan Festival, Young Tarang and presentation of short stories through theatrical style featuring short story writer Chhatarpal. J&K Cultural Academy: Academy under stewardship of new secretary Aziz Hazani has embarked upon an ambitious plan to galvanize its regular activities along with new initiatives. Academy is all set to play pro-active role in bringing culture on the central stage of everyday life in the state. Academy’s Jammu Divisional office under additional secretary Sardar Arvinder Singh Amn, other than number of publications in different languages organized a busy calendar of activities that included district drama festivals, all India Dogri conference, folk music and dance programs, kahani ghoshtis and poetic symposia in different languages, summer workshops for children. The Academy also collaborated with RJK and NGOs to hold programs like Jharokha. Dogri: Modern Dogri literature saw additions of number of books of stories, essays, plays, poetry, travelogues and comics. Some of these are Vijya Thakur’s poetic anthology Ki Je, Dr. Chanchal Bhasin’s Dogri Upnayasein Ch Varg Sangarsh, Two comic books published, are on Kabir, translated in Dogri by Prof. Shashi Pathania and ‘Jhansi Di Rani’, translated by Prof. Lalit Magotra. Dogri translation of world classic of Shakespeare’s Julius Caesar by Madan Gopal Padha has found place in the Shakespeare Centre’ Henley Street Stratford, UK. Shailender Singh’s Dogri noble Hashiye Par was translated by Suman Sharma under the title Hashiye Par: For a Tree to Grow for Oxford University Press. Dogri Sanstha: Dogri’s premier NGO’s special publications were seven Chitrakatha Comics including one original comic on Bawa Jitto, which has locally scripted by Chhatarpal, illustrated by Subhash Anand and edited by Prof Lalit Magotra. Others books are an anthology of English Translation by Suman Sharma of selected Dogri short stories, one anthology of Dogri one act play in Hindi, one volume of Dogri Essays in English (all under SMVD Shrine Board Sponsorship) and all edited By Prof Lalit Magotra. Sanstha as per its mission offered platform to Dogri writers to release their books which include Narinder Bhasin’s short essays Suchchi Samhaal, Ashok Dutta, short stories Sochen Di Reel, Chhatrapal’s short stories Cheta, Shiv Dobalia’s Basohli Darshan, Neeru Sharma’s short stories Bilkadi Dharat, Gunga Gaas, Dr. Vijay Seth’s Beehmi Sadi Da Dogri Gadya Sahitya: Ik Jayzaa, Nirmal Vinod’s poetic anthology Mein Kasturi Hiran, Tara Danpuri’s Dogri poems Hirakhae Di Peed, Girdhari Lal ‘Rahi’s, short stories Phull Te Kande, Sudershan Rattanpuri’s short stories Nheraa Te Lo. Sanstha also organized Chamatkaar-1, musical program composed by Brij Mohan on free verse poetry of Padma Sachdev /Ved Rahi / Lalit Magotra / Chhatarpal / Shashi Pathania. Other musical programme Inder-Dhanakh, composed by Dharmesh Nargotra featured Jammu’s young and budding artistes. Sahitya Akademi: With Prof Lalit Magotra, as Convener, Dogri Advisory Board, Sahitya Akademi, New Delhi, organized centenary symposia and seminar on Ram Nath Shashtri, Consciousness in Dogri Literature, Humor & Satire in Dogri Literature, Dogri poetry, Hindi Dogri Translation workshop, Katha Sandhi with Shiv Dev Singh Sushil, People & Book with Hitbandhu Khajuria, Meet the Author with Piyush Guleri, Katha Sandhi with Mohan Singh, Through My Window with Lalit Magotra on Narendra Khajuria and musical program Avishkar featuring ghazals of Ram Nath Shastri by Sham Sajan and Dinu Bhai’s Poetry by Brij Mohan. Prof Lalit Magotra, an accomplished prose writer has also made his name as a sensitive poet. His Dogri poems along with their English translations by Suman Sharma figured in Fifth Edition of Language Festival Samanvay, in Delhi, where Balwant Thakur and Promila Manhas also made presentations on Dogri literature. Prof Magotra along other writers visited Japan where he recited his Dogri poetry in Tokyo, Osaka, which was simultaneously read in Japanese translation and later published in Japanese. Duggar Manch: Under leadership of Mohan Singh, Dogri poet, playwright, actor and activist, Duggar Manch organized seminars, literary meets, book release functions and felicitations programs to honour of poets, writers and classical and folk singers. Nami Dogri Sanstha: The NGO felicitated released books, organized meets for poets, short stories, music concerts, seminars, and held programs in memory of writers and artistes. Urdu: In a dismal scene when State government failed to remember Krishan Chander, Urdu’s master writer whose centenary year celebrations ended on 23rd November, 2015, one can imagine the fate of Urdu’s literary scene in Jammu region. It is only Post-Graduate Department of Urdu, Jammu University which all year along organized regular seminars and literary meets with national level and local Urdu writers, poets and scholars. Urdu poet Pandit Vidya Nath Aasi continued to pen down and recite excellent and insightful poetry. Veteran poet Arsh Sehbai came out with a new poetic anthology this year. Jatinder Udhampuri’s Sailab, book of Urdu poems, was also published in 2015. Balraj Bakshi who published book of short stories, Ek Boond Zindagi, was awarded by Uttar Pradesh Urdu Academy for his short stories collection. Punjabi Lekhak Sabha released Punjabi books by Dr. Monojit, Hardeep Kaur Deepak and Hardeep Singh Deep. Punjabi works published in translated versions in other languages are of Dr. Baljit Raina, Khalid Hussain’s Short Stories translated in Hindi by Deepak Arsi, Surinder Neer’s Novel translated in Hindi, Sudhanshu’s work published in Dogri translation. Pahari poets Gursharan Singh Gulshan, Qari Ashraf Buddhal, Sheikh Zahoor, Parvez Malik, kept high the flag of creative Pahari poetry. Swami Antar Neerav along with penning brilliant poetry in Pahari also got into publication of selected Pahari poems. Pahari literary scene was marked by activities of Pahari section of Cultural Academy such as seminars, Literary & cultural Programme, Mushaira, Afsana, music programs, drama in Rajouri and Poonch. Its publications included regular issues of Sheeraza, Asta Adab, Pahari Lok Kahaniyan, Pahari Lok Geetan. The translation Projects completed were translation of Shakespeare’s Othello, Alberuni’s Kitab ul Hind, Hayat e Abu Haneefa, Devdas and Tota Maina. Gojri’s literary scene under Cultural Academy’s Gojri section published large number of books and journals in Gojri. Tribal Research Foundation led by Javed Rahi, raised issues relating to Gojari language and culture in media and other platforms. Radio Kashmir Jammu: Radio Kashmir Jammu (RKJ) won Aakashwani Annual Awards for its excellent entries, ‘Mazhab Nahin Sikhata Aapas Mein Bair Rakhna’ by Programme executive Satish Vimal and Radio Play Pallavi, a sensitive tale of a transgender named Pallavi written by Pritam Katoch and produced by Programme executive Sanjeev Sharma. With son of soil Vijay Singh Sambyal as director of RKJ, the Station has initiated programs like Jharokha in collaboration with J&K Cultural Academy to interact with and honour veterans of different fields of culture. RJK has so far organized interaction and felicitation of vocalist B. S. Bali, scholar and social activist Prof Ved Kumari Ghai, Tabla Maestro Sh. Rajinder Raina, Dogri Folk Singer Parkash Sharma, theatre activist, actor, director Kavi Rattan. theatre personality , writer, educationist, actor and social activist Prof. Rita Jatendra, Queen of Bhaakh Krishna Kumari, Dogri writer, poet, painter N.D. Jamwal, Tabla maestro K.L Verma and Urdu poet Vidya Rattan Aasi. The other program being outdoor poetic symposia in collaboration with literary organizations to take Dogri language Kavi Goshthi to the very door steps of listeners and to native villages of poets. 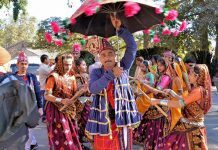 To promote and preserve grand classical and folk musical and literary and art traditions of the state, RKJ also organized Kahani Ghostis, programs on classical music, folk festivals, Gojari and Pahari folk music concerts and poetic symposia in prominent towns and also remote villages of Poonch and Rajouri. Natural Heritage O. P. Sharma (Vidyarathi), eminent Dogri poet and writer, has blazed a passionate trail to raise public awareness about natural heritage especially flora and fauna through unique Tree Talk Campaign. His crusade launched on 19th December 2010 with focus on nature interpretation, familiarity & conservation concerns in the backdrop of global issue of climate change has completed half decade of its green journey through forests, meadows, gardens ,wetlands and campuses of schools, colleges, universities, research institutions & government departments. It is due to relentless passion of Om Vidyarathi that Tree Talk, the only of its kind environmental programme has become a movement with involvement of writers, poets and artisans, academicians, doctors, experts, bureaucrats and members of civil society.